Election 2017: Who’s Who in the Races for Mayor, Public Advocate and Comptroller? 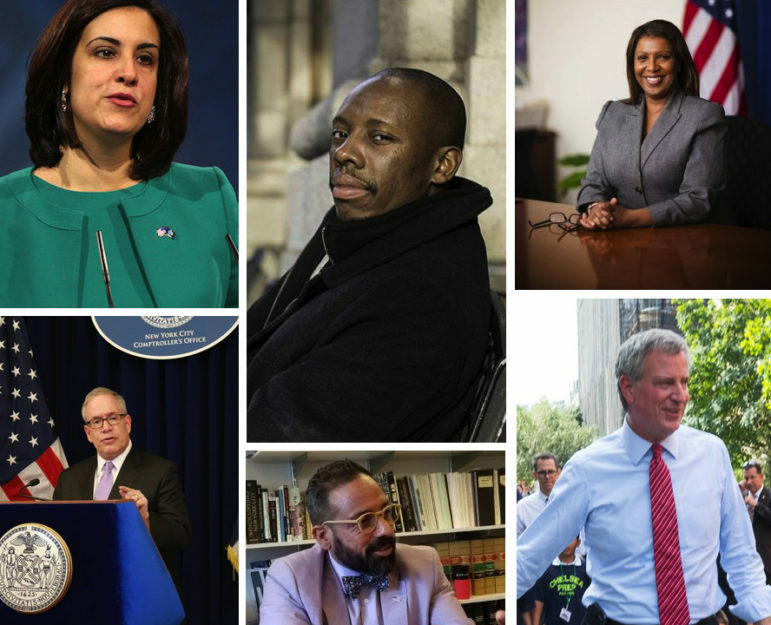 A few of the citywide candidates, clockwise from top left: Republican mayoral candidate Nicole Malliotakis, Libertarian mayoral hopeful Aaron Commey, Democratic Public Advocate Letitia James, Democratic Mayor Bill de Blasio, Republican Public Advocate challenger J.C. Polanco and Democratic Comptroller Scott Stringer. * * * *Get the free Election Watch bulletin. * * * *Every municipal office in New York City is up for grabs this fall: mayor, comptroller, public advocate, all five borough presidencies and all 51 City Council seats. The offices of district attorney in Brooklyn and Manhattan are also on the ballot, as are several judicial seats and three state legislative offices where vacancies are being filled. The general election is on Tuesday, November 7. A list of candidates for the three citywide offices (mayor, public advocate and comptroller) is on this page, below. Rosters of those running for borough president, district attorney and the three vacant state legislative seats can be read here. And the contest list for City Council is here. Click here for a rundown of judicial candidates. Click here to check on your voter registration or here to register anew. You must register by October 13; deadlines for voters and candidates are listed here. You can find your polling place here. What do these offices do? Here’s a basic rundown of powers and duties. How can I find out who represents me? Use this great tool from the League of Women Voters. How do I find out who has donated to the campaigns? The New York City Campaign Finance Board offers a very user-friendly search tool. What do the latest polls say? See the most recent surveys from Quinnipiac, Marist and Sienna. How do I keep up with the latest campaign news? Just subscribe to our free newsletter. I have a question I want to ask a candidate. What do I do? Send it to us right here; we’re keeping a list, asking the best ones, and publishing the answers. How do I find out more about the key issues? 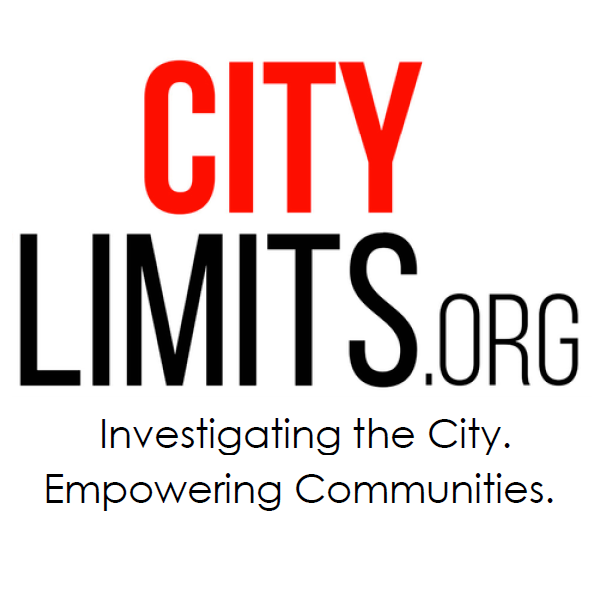 City Limits has been covering policy in New York City since a guy named Abe Beame was mayor. All our Election 2017 coverage is right here. Get ready to vote!Learn about candidates, find out when & where to vote. It’s easy—just enter your home address to get started.